Wolves' coats are specially designed for handling harsh winters. The outer layer of fur, called the guard layer, sheds water and snow, while a thick inner layer of "wool" traps warm air for insulation. 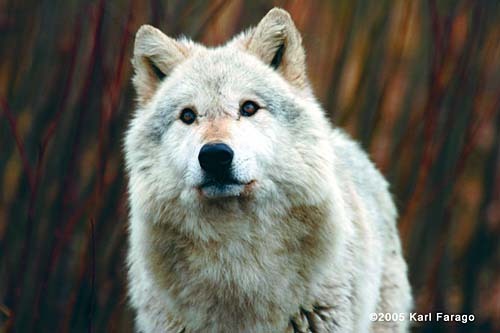 Wolves can withstand temperatures of 40 degrees below zero and colder.